Standing with MCAP for Child Abuse Prevention Month! Established in 1914, High Swartz has been considered one of the best law firms in Southeastern Pennsylvania since its inception in 1914. With a reach throughout Philadelphia, Pennsylvania, Southern New Jersey and the Mid-Atlantic states, we continue to strive to be a top law firm in the general practice fields of law. Our headquarters is located on the same block as the Montgomery County Courthouse in Norristown, Pennsylvania. In 2016, we merged with McNamara, Bolla & Panzer, a well-established law firm in Doylestown, Pennsylvania, expanding to include an office in Bucks County. 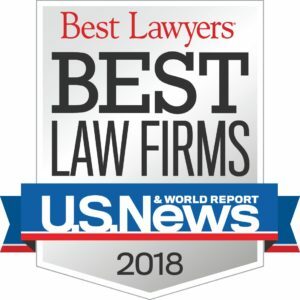 High Swartz, rated as a top law firm in America for 2018, offers a broad range of legal services including business and corporate law, employment law, environmental law, family law / domestic relations, franchise law, intellectual property, litigation, municipal and government law, personal injury, real estate law, education law, Social Security disability, wills, trusts and estate law, and workers’ compensation. Unlike larger firms, High Swartz LLP is able to keep practices highly concentrated with experienced attorneys. Cases are not overworked and clients are not overlooked. Our wide range of skills and experience means there are a number of attorneys in the firm who can consult on complicated matters — and help handle crises and everyday matters quickly and effectively. Our size and locations in the hearts of Montgomery County and Bucks County allows us to offer more competitive rates than larger firms. Our work and experience includes representation outside of the five-county region — including much of the Mid-Atlantic and New Jersey — and our fees are appropriately structured to the clients we serve. Just another reason we’re considered one of the best law firms in the area. In Pennsylvania and nationally, our attorneys have been recognized for their contributions to the legal profession, including taking leadership roles in bar association groups, in client representation, in teaching and in service to the legal community and civic organizations. Throughout our history, members of the firm also have been active in our nation’s military and in public service at the local, state and national levels. Many of our attorneys are recognized as Best Lawyers in America, Super Lawyers, Rising Stars and Lawyers on the Fast Track. High Swartz lawyers partner with clients to develop the best strategy for the optimal legal solution. As part of the legal team, clients are involved from the onset of representation in decisions important to them — such as focusing strategy or identifying the cost/benefit of certain legal options. We are conscious of each client’s individual goals and needs, and we encourage frequent and direct communication. If a client’s primary attorney is not immediately accessible, another attorney or staff member will be available to respond. Our attorneys are thorough, careful and considerate. Our practical approach enables us to dissect and simplify complicated legal matters. The success of our clients is our highest goal, and we do everything possible to ensure that all of our clients receive comprehensive, sophisticated legal representation in the most efficient and cost-effective manner.